Happy Earth Day! Chances are you’ve done something in your life to reduce, reuse or recycle. 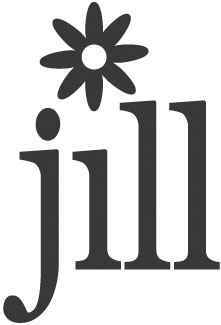 Heck, if you’ve purchased Jillibean Soup papers then you’ve purchased some “green” products. All of our papers are manufactured with recycled stock. Our kraft papers are 100% recycled! In celebration of Earth Day, I thought I would share some “green” tips and fun sites. What a beautiful centerpiece made out of recyled glass. 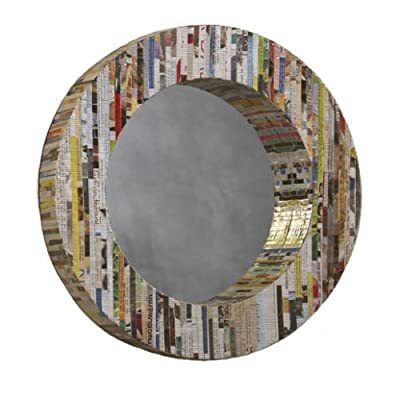 Check out this mirror made from recycled magazines. Target has more “green” items online. Check out these cool green tees from Cafe Press. Go to greenhome.com to learn how to “green” your home. 1. Don’t drive like a teenager, speeding up and slowing down and weaving in and out of traffic. Such aggressive driving can lower fuel efficiency by 33 percent. Accelerate gently and stay with the traffic to save gas and money. 2. Don’t use cleansers and personal care products that contain triclosan or other antibacterial agents. Public health officials worry that antibacterials in cleansers, window cleaners, and soaps are causing us to become resistant to antibiotics. Use simple soap and hot water for cleaning, and body soaps and lotions that do not say “antibacterial” or “fights germs” on the label. 3. Don’t go shopping without a list! According to the U.S. Department of Agriculture, people waste about 30 percent of their household food budgets buying groceries that eventually expire and have to be thrown out. Know what you want to buy before you hit the store aisles—you’ll buy less of what you don’t need, buy more of what you’re likely to use, and reduce the impact your shopping has on the planet. Then put your list on your refrigerator so you don’t forget what’s inside. 4. Don’t leave the lights on when you leave the room. You could save as much as $100 per year in electricity costs by turning off a 100-watt light bulb when you’re not using the light. 5. Don’t leave the computer on if you’re going to be gone longer than two hours, and don’t leave the monitor on if you’re going to be gone longer than 20 minutes. If you plug your electronics into an energy-saving power strip, you can reduce the energy they use by as much as 40 percent. 6. Don’t leave the water running when you brush your teeth. Turning off the tap when you brush your teeth can save up to 8 gallons of water a day, 240 gallons a month – saving hundreds on your water bill each year. 7. Don’t buy “snack packs” that come wrapped in cardboard and plastic. Small individual packages use more energy and resources to manufacture and transfer, and are often twice as expensive as the same product sold in a larger bag or box. 8. Don’t use so much shampoo, soap, lotion, make-up, gel, and perfume. More than 25 percent of all women and one of every 100 men use at least 15 products daily, according to a survey of 2,300 men and women, exposing people to hundreds of chemicals during the course of a day. Can you reduce the number of products you use by at least three? 9. Don’t buy new. Remember the 3 R’s of eco-friendly living? They begin with “reduce” (the other two are “re-use” and “recycle”). If you need to shop, start with eBay, Freecycle.org, the neighbor’s yard sale, or the community vintage or thrift store. 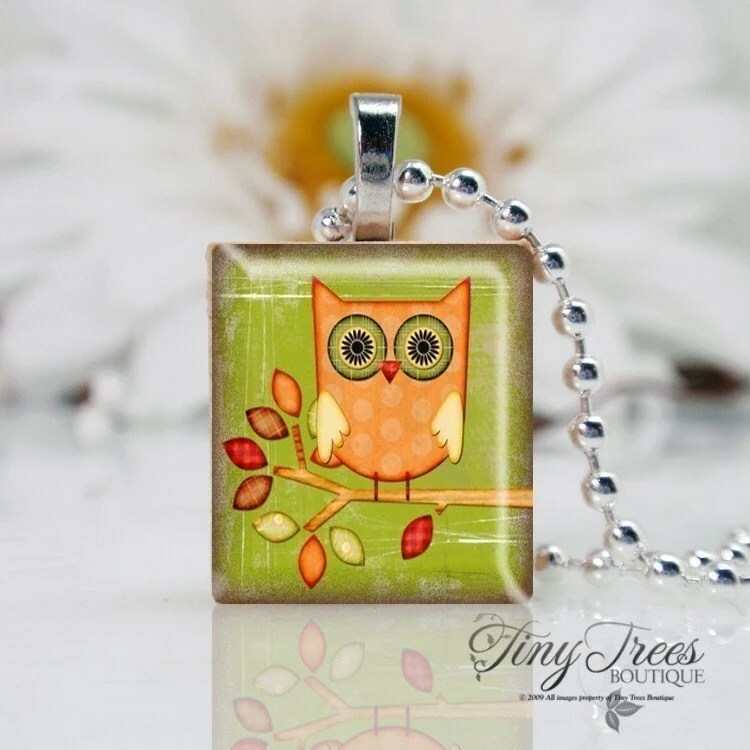 This adorable owl pendant (from Tiny Trees Boutique) made from recycled Scrabble tiles. 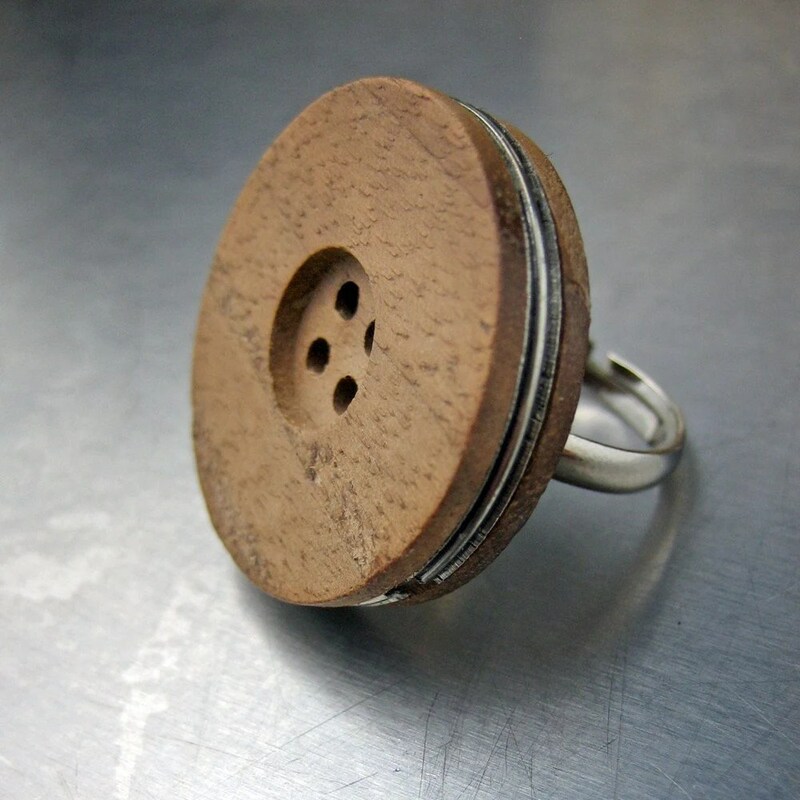 Or this fun wood button ring (from Brooklynrehab) made from a recycled button. 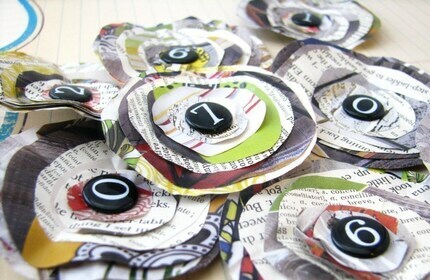 Or these cute Eco Poppies (from Kits and Kaboodles) made from 100% recycled paper. All you have to do is leave a comment about your favorite “green” tip. The winner will be picked via random.org on Saturday 4/25 at 9:00 EST. Good Luck and try something “green” today! We recycle everything possible here, from paper to bottles to food scraps. My son has learned from an early age that it is important to reduce, reuse, recycle and I know it makes a difference. I recycle all plastic containers (at least once). Ice crease tubs (I use it for little plants), most scrapping material, I even used the plastic outside rapping of our bedding for a cover as a holder for a mini book. We don’t have any recyclers near us so I reuse any thing I can. I like to reuse glass jars to hold scrapbooking ribbon or chipboard. On my blog (clynndesign.blogspot.com) I show how I reused part of a peanut can to make a mini album. Thanks for remembering the earth and spreading the word about Etsy! I know it is important to recycle but I think it is just as important to avoid buying over packaged products. I buy yogurt in a large container and portion out servings from that. One large container in the recycling bin isn’t as impressive as many smaller containers but it is more earth friendly in the long run. Energy-saving lightbulbs! We put them up all over our house – the last a long time and they’re bright (and we feel “bright” for using them too!). And – reusable bags for shopping! I’m surprised stores don’t just give them away now (Target had a giveaway just this Sun.!). These bags fit so much more in them than plastic bags, and they’re very durable too. I reuse all of my cereal boxes etc into my own chipboard pieces. I run them thru the cuttlebug with dies that i have . We recycle! that was the first thing we noticed about columbus when we moved here: you have to CHOOSE to recycle. In St. Paul, everyone does it! It is almost like it’s not an option to NOT recycle! I carpool to work!! Happy Earth Day . Happy Earth Day! I bring my own reusable bags to the store when I go shopping, they fit a lot more & are really sturdy. Another tip is to get on eco friendly water bottle that you can refill so to limit the amount of bottled water you buy. Try to recycle, everything you can. Have a separate container for recyclables under your sink. It makes it a lot easier to recycle for the whole family. Once the container is full, dump it into the bigger recycling bin in the garage. I always save the emptied rolls from toilet paper to recycle them and create gift card holders with them. You can even make mini albums with them! Just flatten them out, seal one end to create a pocket and cover with left over scraps of patterned papers and embellish as you please. Fun, creative and economical. Well around here we use reusable bags to shop, we recycle everything that we can, and we carpool from school. Also we do not use paper plates and very minimal usage of paper towels. Old t-shirts cut up make for the perfect cleaning rags. i take my son with me to the recycling center and he knows where everything goes. he even said once that if we won the lottery he would make “the place where we take the boxes and wine bottles bigger”! i thought for sure we would win, LOL! the place were we take our stuff only takes 1&2 plastic so that is all we buy. My favourite green tip is to repair things rather than getting new ones. I remember reading something when I was a kid about how there are more than 3 R’s – three of the less-common ones are refill, repair, and rent (as in gadgets, I think, not houses, as the idea is to rent or borrow the things you don’t use very often). Very cool giveaway — I love how creative people are in making new things from old things — totally repurposing them. Green tips — reuse! My husband takes jello cups everyday in his lunch, but instead of buying premade ones, we made in the reusable Glad cups; you may leave your computer on, but turn off your monitor when not using it; Use cloth napkins at meals instead of paper — you are going to do laundry anyway and they do not take up that much space in the load. Using the reusable bags when I shop is my fav thing to do, and just easy! We have refillable water bottles that we fill from our filtered tap, then put in the fridge. We keep reusable shopping bags in the car, and if we happen to forget to bring them into the store, we just bring the groceries out “naked” and bag them in the car. We also share one car. I know, the horrors! We’ve only had one issue, in over five years of sharing, and then I just took a taxi. We use an electronic thermostat to control our heating and air conditioning. I save envelopes that come in the mail for reuse for books that I send out via http://www.bookmooch.com. And I save all boxes etc. that come in the mail. We always find another use for them. Thanks for the chance to win. I LOVE LOVE LOVE your products! Happy Earth Day – my tip is to recycle just as much as you can! With all those cute little “recycle” bags out there – how can you not! We recycle everything here…including the roll that the toilet paper comes on!!! It is actually more economical, from a water use perspective, to wash the dishes (full load!) using an energy rated dishwasher than it is to wash dishes by hand! Save those hands for scrapping! Recycle your magazines. Rather than just throw them in the reccycle bin at the dump, I gather up all of my magazines and take them to the doctor or dentists office (depends on what appointments I have that month) for them to put in their racks. Be sure to take off the address label on the front. Thanks for the great contest. Happy Earth Day. Favorite Green tip: make it CONVENIENT to recycle. The easier it is to access the recycle bins and containers, the more likely your family will easily incorporate recycling into their everyday lives. Set an excellent example for your kids and be a good steward of the Earth. My most important and favorite green tip is to always recycle when you can. I know everyone knows that glass, cans, newspaper and magazines should be recycled, but it’s amazing how many people don’t..
My tip would be to reuse as much as possible. I reuse a lot of containers and other things around the house that others may just throw away. we’re all about recycling around here…trying to teach my boys to print on BOTH sides of the paper is a toughy though. I would say repurpose & reuse as much as possible.Outgrown clothes can be cut apart to use the fabric for quilts. I love doing this then the kids and I play “remember”–like do you remember when this was your favorite blouse and now it is part of your blankets? Take old magazine to the recycling depot or drop them off at a senior center or old folks home where they will be appreciated so much. Recycling is my big thing and taking paper or cloth bags when I shop so I don’t have to get the plastic ones… I love the recycled scrabble tiles! I am going to have to order some… Thanks for mentioning that store! I’m all about saving water since we are in a drought ,,, and recyling is another item on my list!! I grow a garden and try to use organic products in it. I get fresh fruits and veggies and don’t have to worry about packaging. Any waste gets composted. Thanks! I shop, I love to shop, so I always keep tons of tote bags in my car so I am prepared for any shopping excursion. In addition, I like to take netted draw string bags for produce shopping. i recilce all the garbage!! And since Ive moved to a smaller city, I almost dont use my car!! We finally got a thermostat where we can set it to dial down the heat at night. My fave green tip is to compost! its so easy to do, and it can totally cut down on how much “trash” you throw out! Its better for the environment, better for the soil, everyone is better in the end! we really thought we were recycling everything we could. But I did some research online and found we are throwing away a lot of stuff we shouldn’t. This month we worked harder, and we are recycling more than we throw away by about 50%. YEAH! Recycling cans and bottles! You don’t realize how many your household uses until you start collecting them. Thank you for the giveaway! I’ve cut my grocery trips and errand running down to one trip a week. I know it doesn’t seem like much but it sure as heck saves on my gas bill! Happy Earth Day! I cut old tshirts into paper towel sized squares. I fold them up and place them on the kitchen counter in an old baby wipe box. We use these instead of paper towels unless the mess is really nasty 🙂 We used to go through two rolls of paper towels a week. Now a roll last us for over a month. Reuse office paper as scrap paper before recycling. My green tip for scrapping is to use all the packaging that your goodies come with, Use the pretty backing as photomats or punch shapes out of them and save the cool tags that come on your jeans and other articles. My favorite green tip is to only shop at farmers markets for vegetables and fruits during their open season with recyclable bags – The amount of packaging I don’t have to throw out because of this makes me very ahppy. I take my own totes to the grocery store to avoid getting plastic bags. I planted sunflower seeds and trees. I no longer use paper towels, napkins or plates. We installed a filter so we could stop purchasing bottled water and I switched to green light bulbs too. reuse plastic baggies by turning inside out and washing in hot water. they can be dried in the drainboard too. I don’t buy bottled water. i have a cup on my desk and fill it up at the water fountain. Saves all that plastic! My favorite green tip is to bring your own bags to the grocery store. Thanks for the giveaway! I have been drilling in the turn the lights off when you leave the room into my kids’ heads! We no longe use paper towels.We cut old towels or clothing into rags.Just remember to wash in cold(takes less enegy). Thanks! We recycle all household products,we grow vegetables and my husband builds Eco homes. Recycle is where it’s at! Our girls know to ‘recycle’ items & so many kids are NOT taught this! WHY?? I’m seeing it at school too! …They waste TOO much paper! Imagine all that paper that gets thrown in the trash at all our little ones’ schools! Not good. We have been replacing light blubs , we compost and grow our own food. It’s really a nice thinking… Thanks for posting such a nice article…..